Preheat oven to 375°F. In a skillet, melt butter with olive oil over low heat. When butter is melted, add minced garlic. Squeeze lemon juice into the pan. Turn off heat. Add sour cream and stir mixture together. Add lemon zest and salt. Taste, then add more salt if necessary. In a large bowl, pour mixture over drained spaghetti and stir together, then pour spaghetti into an oven-safe dish. 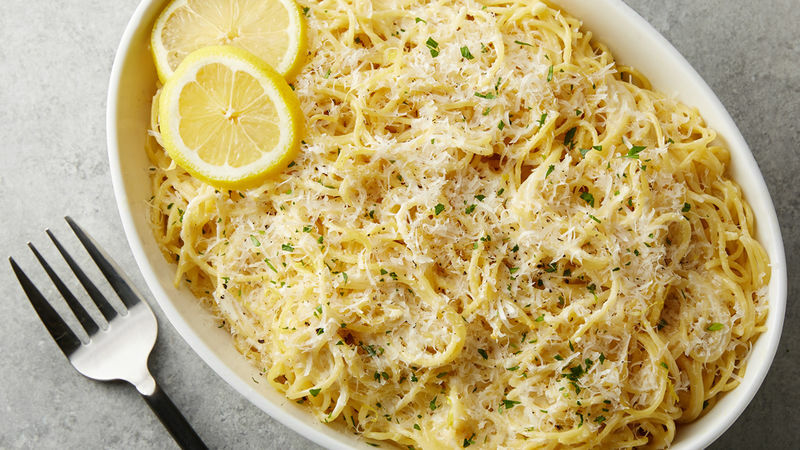 Remove from oven squeeze additional lemon juice over the top of the pasta. Top generously with Parmesan cheese, then chopped parsley. Give it a final squeeze of lemon juice at the end.